4:05 Specialises in yoga/yoga therapy for low back pain/sciatica. She has experienced these for a long time. Developed back issues as an adult. Researched for solutions. In Canada in 2003/04 she began to find yoga intensives for specific conditions. Found Feldenkreis and took trainings because it helped her back pain. 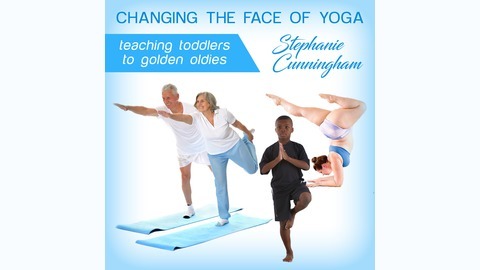 Yoga was too generalised for the senior classes she was teaching. 7:34 Pulled together different modalities to help with back pain. She found PNF (proprioceptive neuromuscular facilitation) to be helpful which stretches and strengthens, tones and relaxes muscles. Applied to her senior’s classes. Found Viniyoga with Robin Rothenburg – yoga for low back pain course. Also interested in what Dr. McGill could add to the problem. Put all of these modalities together to develop a workshop and classes. 12:36 Major causes of low back pain a) the L5-S1 area very vulnerable to wear and tear, b) bulging disk (not herniated discs) which usually results in mild or moderate pain, c) breakdown of facet joints – repetitive movements over time cause wear and tear, d) slouching – more load on the spinal discs. Need to lengthen through the spine, improve posture through strengthening back muscles. L5-S1 needs to be in slight anterior tilt. 16:15 Most students are over 50. Jo offers a continuum of classes, one on one sessions to work on their low back pain. Usually can go into a class with mild pain may need one on one sessions for more moderate pain. Asks questions and does an intake to place them in the correct class/session. 19:19 Esther Gokhale found that the spine shape has changed in the last century because of changes in the design of furniture as well as slouching. The spine normally has a J curve which has slight curves throughout its length until the bottom of the spine. But we now have an S curve spine that is much more curved than before. And the spine has less support. Do students really need backbends and forward bends if they have back pain? Are they properly prepared for these asanas. Telling people to roll up from a forward bend does not engage the back muscles; the spine is doing all of lifting. 23:15 Many more cases of back issues with the change in the shape of the spine. J curve is less curvy with more support. with really gentle postures and notices how students move. 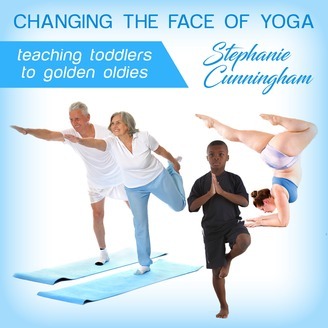 She may decided to take change and change the postures if students seem to be in pain. Students will not always follow directions to come out of a posture or pick a more appropriate modification even though invited to do so.